Starting in 2017, AMA created new codes for conscious sedation services and deleted the old ones. In addition, CMS determined to allow payment for these services in certain situations. Listen in as we provide information on the background and the AMA approved definition of Conscious Sedation Services. 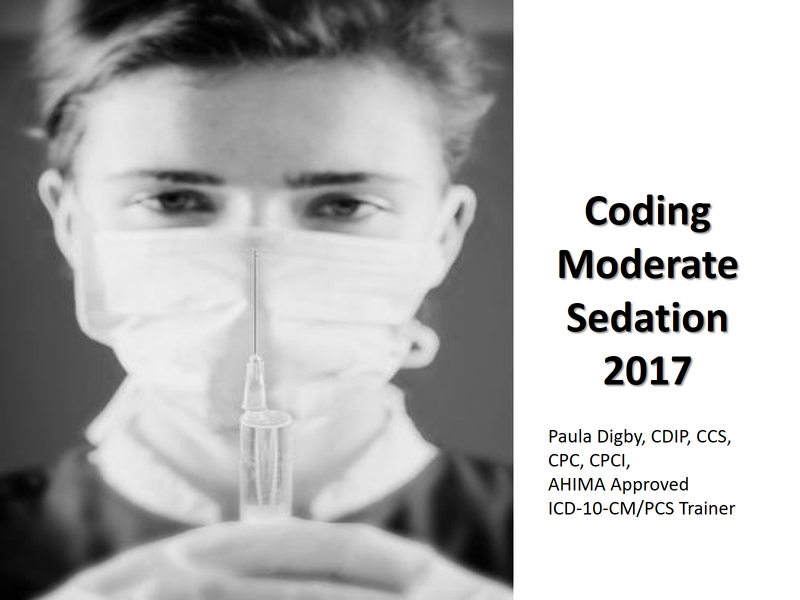 How to report conscious sedation services using CPT codes. Understand what services still include bundling edits for conscious sedation. Learn what cases Medicare will consider for payment. Learn when Modifier -59 will still be necessary. What is required for documentation of Time and other elements to support billing.